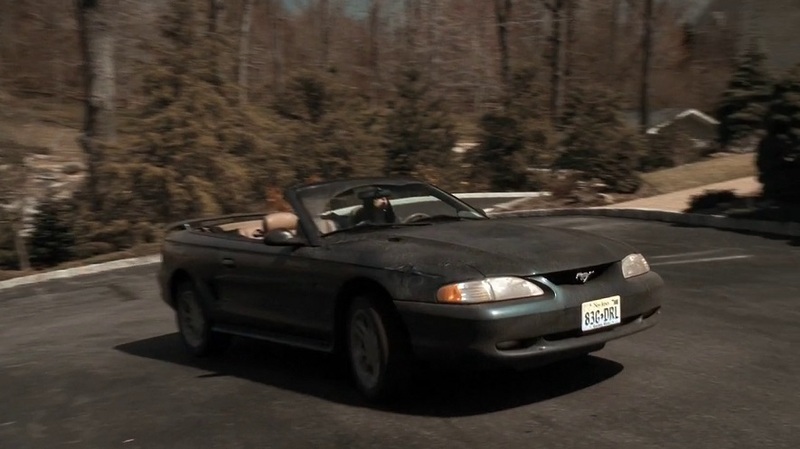 IMCDb.org: 1996 Ford Mustang GT [SN95] in "The Sopranos, 1999-2007"
This car was used by Meadow Soprano (Jamie-Lynn Sigler) appearing in episodes 4.13, 5.01 and 5.09 (in that episode it is used by her boyfriend Finn DeTrolio (Will Janowitz)). Why does Meadow drive a filthy old heap? You'd think Tony would buy her something nicer. Her car is much worse than AJ's. In the UK can't you buy a 2nd hand German limo (S-Class) for peanuts? That would be far better than a Mustang. If insurance wasn't such a gutsache I'd be driving an XJR right now. These days, for somebody who is just starting to drive it would be at least £2,000, even on something like a Fiesta. Though some people I know have been quoted even more. More for cars that are seen as a higher risk, or areas with lots of accidents/thefts. They would probably be refused cover on an XJR or something like that. I do wonder how a lot of footballers get cover for the flash sports cars and Range Rovers they tend to drive. That's quite a bit, but Meadow was 21 in this episode so she's hardly "just starting" to drive. Also whatever car she does drive would likely be insured in her father's name, reducing the premium substantially. Also G-MANN, this generation Mustang had a 4.6L V8, not 5.0L. It only put out 260 hp which is less than today's Honda Accord V6. Sandie wrote I do wonder how a lot of footballers get cover for the flash sports cars and Range Rovers they tend to drive. Davez621 wrote You'd think Tony would buy her something nicer. He's already paying a fortune for her to go to Columbia university, wasn't there one episode where they got roped into donating 50 grand to the place? Not that I like this Mustang, I think it is crap. But most of us consider newer/flashier cars much more uninteresting than this car.